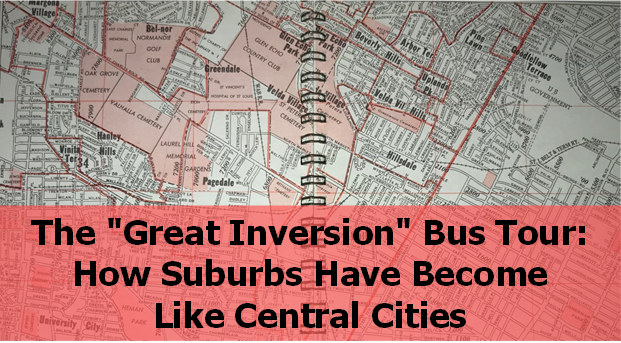 Near the beginning of this decade, journalist and editor Alan Ehrenhalt described a phenomenon that he called "The Great Inversion," where suburbs were becoming more like central cities (rising demands for social services, increased social tensions, deteriorating neighborhoods) and central cities were becoming more like suburbs ("hip" developments, upscale housing, touristy playgrounds). 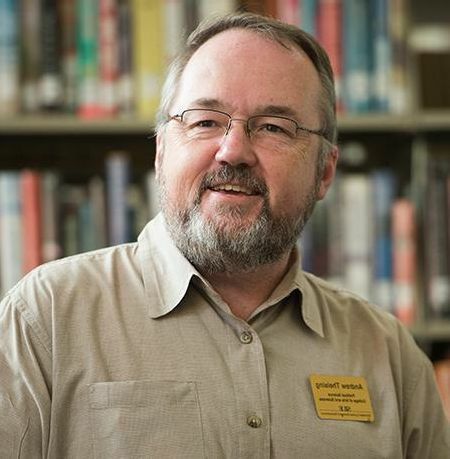 Join Andy Theising, professor of political science at Southern Illinois University Edwardsville, as he facilitates a customized GCG Member bus tour that will illustrate the "Great Inversion" in the St. Louis region. The tour will start in Clayton, one of the most prominent and successful suburbs, and proceed North through small communities that were historically booming bedroom suburbs but today represent areas that struggle to meet new realities. Participants will drive through more than a dozen municipalities, which include stops in Normandy and Ferguson, where GCG Members will meet with James Knowles III, the Mayor of Ferguson, for an engaging conversation about place-making and community. LOCATION: Gateway Center for Giving (2 Oak Knoll Park, St. Louis, MO 63105) will be the starting and ending point for the bus tour. RSVP: As there is limited seating on the bus, we ask that Member organizations RSVP NO MORE THAN TWO INDIVIDUALS FROM THEIR INSTITUTIONS. Click on the "Book Now" button (above) to register. We hope that you can join us. Breakfast refreshments and coffee will be available from 8:30am-9:00am. Please contact Mary Kullman, Interim Executive Director of GCG, if you have an inquiry about program logistics.